From scary scarecrows and haunted trails to the walking dead, you won't need to travel far to get your adrenaline pumping this Halloween. 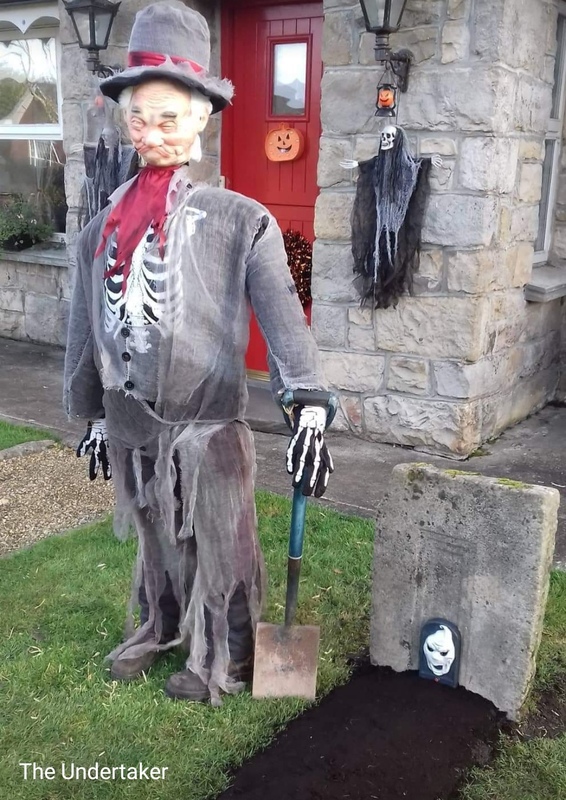 This year County Leitrim is really embracing its roots and is going all out for Halloween, with events for all the family from this weekend up until November. So where will you choose to get your fright? Drumcoura City is hosting "Fear in the Forest" on October 27, 28 and 29. From 5-7pm there will be ghost stories, cartoons, face painting, campfire and Halloween crafts for children. From 7-11pm take part in the Scare Trail Over 14's, Under 18's must be accompanied by an adult. Keshcarrigan will host Scary Kesh Feis from October 27 - 29. On Saturday, October 27 there will be a Scarecrow Parade at 7.30pm followed by scary games and kids fancy dress. On Sunday, October 28 there is an adult Zombie Party from 8.30pm and on Monday October 29 the kids can enjoy lotions and potions from 2-4pm. 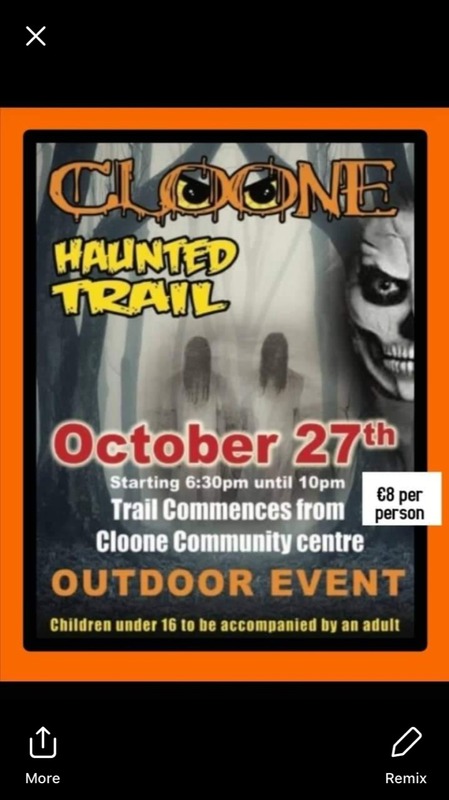 Cloone Haunted Trail returns this Saturday, October 27. The trail starts at Cloone Community Centre from 6.30pm - 10pm. Children under 16 must be accompanies by an adult. Manorhamilton’s Samhain Parade will take place on Friday, November 2 at 7pm. If anyone is interested in getting involved please contact Patrick McEneaney at exitdoestheatre@gmail.com or pop into the Sculpture Centre on Wednesday and ask how you can contribute. This Halloween prepare yourself for a terrifying night in Hamilton Castle. Witness the horrific crimes Sir. Fredrick Hamilton committed. Have a banquet with the devil himself. Watch out for the ghosts and ghouls hidden in every dark corner. Be ready for a night of thrills, scares and nightmares! Children under the age of 16 to be accompanied with adults. Bring warm clothes. Every 15 minutes from 8-11pm on Wednesday, October 31. Mohill Library is hosting a storybook pumpkin decorating contest. Children are invited to create a pumpkin based on a favourite book. The pumpkin can look like a character, an object or present a theme from a book-your imagination is the only limit! Use paint, glitter, fabric, feathers etc whatever you can think of. Drop your finished pumpkin into the library by Saturday 27th. Winners will be announced on October 31 at 5pm. Also in Mohill Library on Friday 26 at 5pm for 2-8 years Spooky Story-time and colouring in. Watch a Kids Halloween Film at 12pm on Saturday 27th and Wednesday 31st. 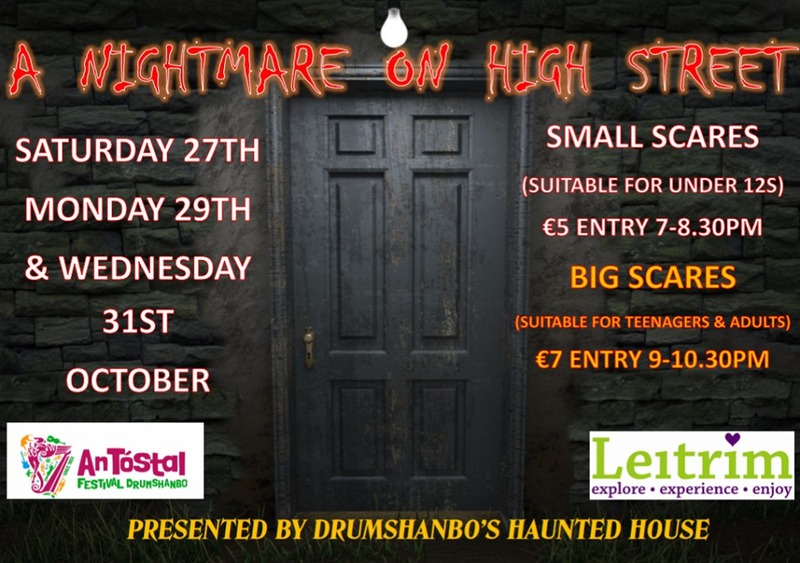 Drumshanbo Haunted House returns this year in their new abode - Nightmare on High Street. Last year many people entered, but with a house that holds confusing passageways that turn and twist, staircases that lead to nowhere, who knows, did they all leave? The High Street has the most reported supernatural activity in the area. Rumour has it that it has inspired the makings of several horror films and horror stories of men and women who occupy the place and to this day still raid the place for any remnants of drink that can be found. The dates for this year’s Haunted House are, Saturday 27 , Monday 29th and Wednesday 31st . The small scares suitable for under 12s, run from 7-8.30pm admission €5. The big scares for teenagers and adults run from 9- 10.30pm admission €7. Gorvagh Community Centre is hosting a Children's Halloween party in aid of Temple Street Children's Hospital on Sunday, October 28 from 3-4.30pm. Lots of spooky fun and treats guaranteed. There’ll be a Halloween Dance in Fenagh Community Centre on Halloween night, October 31, ,from pm til 11.pm, supper served, €7, music by DJ Witch! In Roscommon, Lough Key Forest & Activity Park are hosting a number of haunting events from October 27– November 2. Activities at Lough SpooKey Festival include pumpkin carving, magic shows, fancy dress prizes every hour, balloon modelling and screenings of haunting Halloween movies. Keep an eye on your community notes for more local events and on leitrimobserver.ie for updated events and activities to keep young and old entertained.